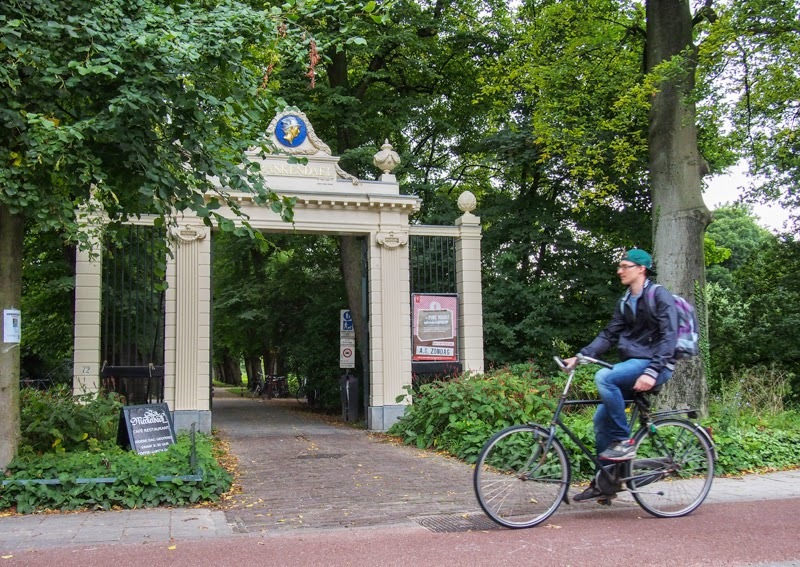 A historic green space in Amsterdam- with a culinary twist. Frankendael provides an irresistible 3-in-1 offer. This is a historic site, with a small 17th century Baroque chateau to prove it. It's also a refreshing green space, where you can picnic, breathe in some fresh air, or climb monkey bars. And it houses two fascinating restaurants for those looking for an alternative to those Dutch staples, bitterballen en broodjes. In the Watergraafsmeer, east of central Amsterdam. Map. AS THE SAYING goes, 'God created the Earth, and then the Dutch created the Netherlands'. This is certainly true for the Watergraafsmeer: now a neighbourhood in east-Amsterdam, but before 1629 a large body of water that was reclaimed to create new land. 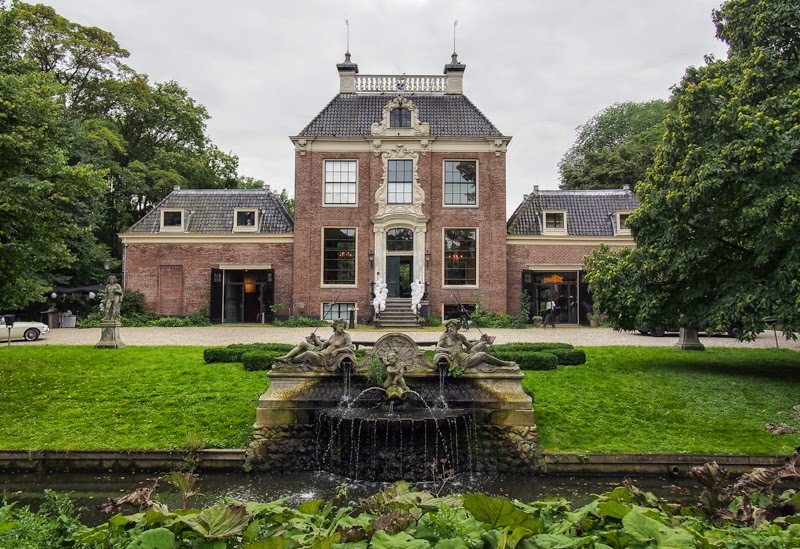 When the Watergraafsmeer became habitable, rich Amsterdam burghers started buying up pieces of land to build farms as well as buitenplaatsen (literally: outside places), opulent country homes. 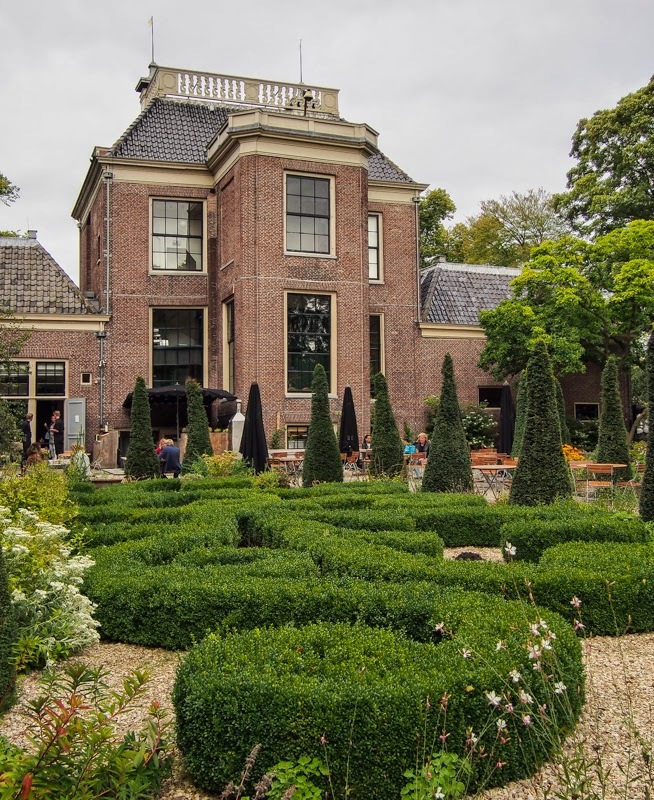 Frankendael is the only buitenplaats still in existence in Amsterdam (although others can be found outside the current city limits, see our article on the Amstel.) 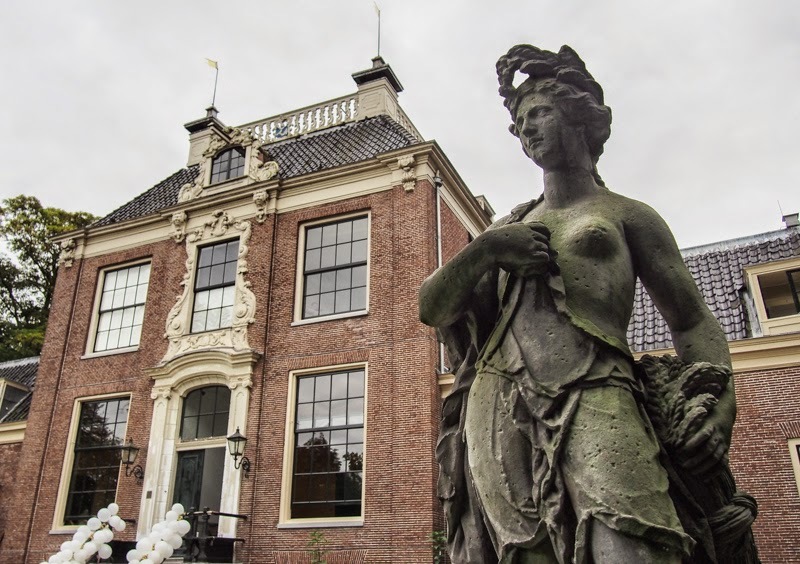 Established in 1659, it is a veritable Baroque chateau complete with 18th century statuary. It's a surprising sight in the otherwise rather staid Watergraafsmeer. The majesctic facade of Chateau Frankendael. Frankendael was a country estate, surrounded by a large garden. The area directly behind the chateau has been restored in 18th century Regency style. If you're looking for a beautiful, quiet spot to have a drink, look no further! 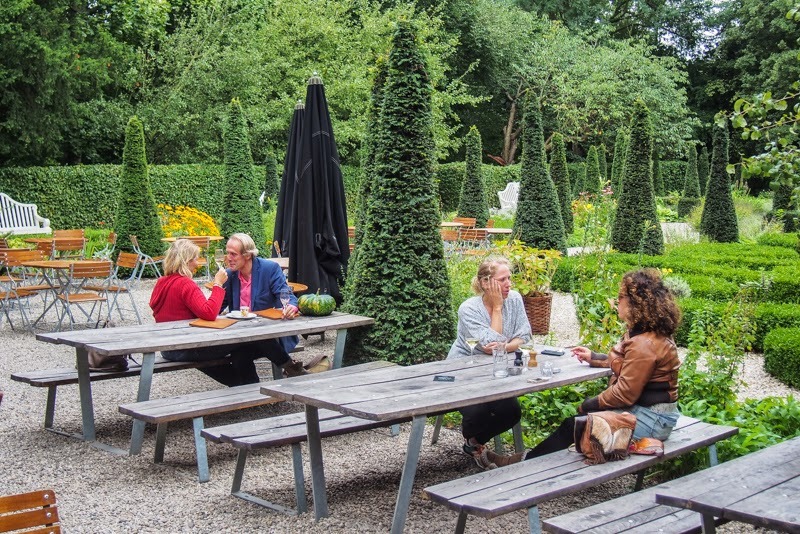 Perhaps Amsterdam's best-known secret, this is a wonderful place to sip a glass of wine (or coffee) outdoors surrounded by both architectural and botanical beauty. Fancy a drink? Or perhaps a pumpkin? The rest of the estate served as the the City Tree Nursery for most of the 20th century. 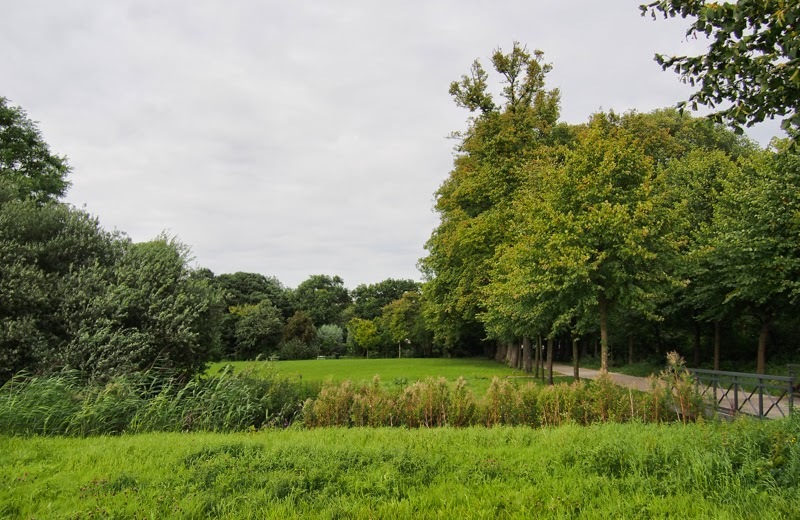 In 2004 it reopened as the Landscape Gardens- a massive green space that represents various Dutch landscapes. And if you have kids, they will love the massive wooden playground. The 18th century gate leads to the 20th century Landscape Garden. 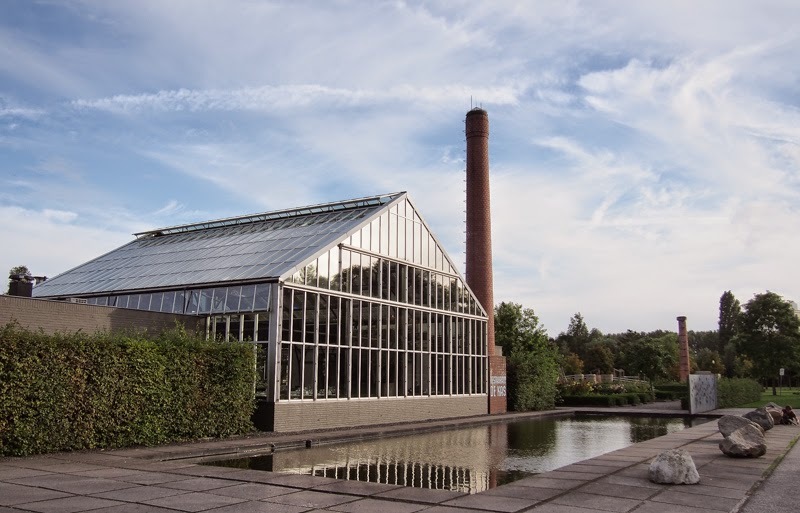 When the City Nursery closed in 1997, its massive greenhouse served no more purpose, until it was converted to one of the city's first organic, local-food restaurants, De Kas (Dutch for, your guessed it, The Greenhouse.) 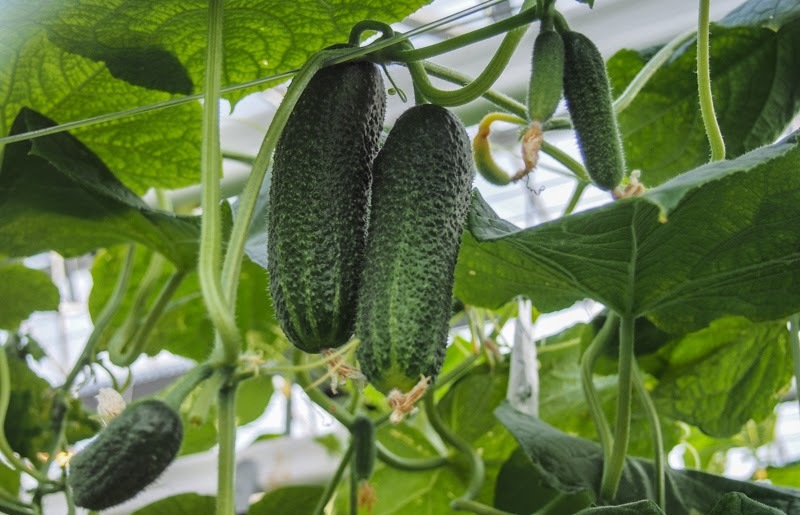 The restaurant grows many of its ingredients on site, either in the greenhouse or in the adjacent garden. (Talk about eating local- the tomatoes on your plate could be grown in the same room you're eating them in.) Now, more than a decade after opening, it is still regarded as one of the city's best restaurants. The menu changes daily, based on whatever the chef managed to forage in his greenhouse that day. Straight from the vine to your table. Meanwhile, the Frankendael chateau has been restored to its former glory and is used for weddings, meetings and exhibitions. It also houses an interesting restaurant with a short menu and slow-food ambitions, Merkelbach. Granted, neither of these restaurants is a low-budget option. 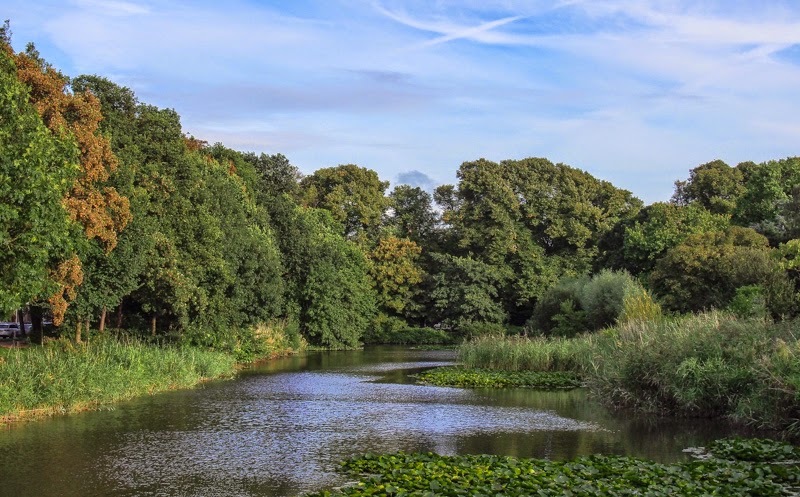 But nothing stops you from bringing your own ingredients and enjoying a picnic in the Frankendael Park, while you enjoy the view of either the greenhouse of the chateau. Enjoy! As is often the case in Amsterdam, bike is best. It's an easy cycling trip down the Middenweg. Those wary of two-wheelers can take tram #9, which stops right in front of Frankendael. Frankendael is easily combined with a visit to Betondorp (see our piece here)- combining Baroque with minimalist concrete will make for an interesting study in contrasts!